Have Multiple accounts? No problem! Organize and manage them all at once! Subaccounts are the child accounts of a single Master Account whose email credits are shared. Each Subaccount has their own unique account settings, SMTP credentials, statistics, and login. You only need one account, but can manage everything under one username. Then you can take advantage of efficient email volume pricing and leverage credits by combining your domains into one account. Each Subaccount is mutually exclusive and does not depend on others for reputation. Different IP address for each account. Enable / disable any subaccount in real time. Send emails from different domains. Say goodbye to invoicing & payment worries. Pepipost gives you the freedom when it comes to credit & billing management. Avoid unnecessary complexity of processing payments for multiple accounts. Allocate credits & pay through a single Master account. You don’t have to worry about logging into multiple accounts to analyze campaign metrics. That’s because all your data for Subaccounts is available on a single dashboard. 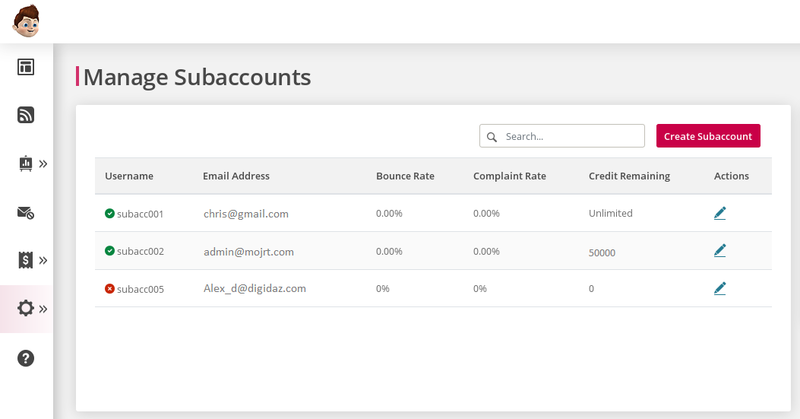 Subaccount users can optimize their campaigns and access live reports on email requests, delivery, opens, clicks, bounces, abuses. 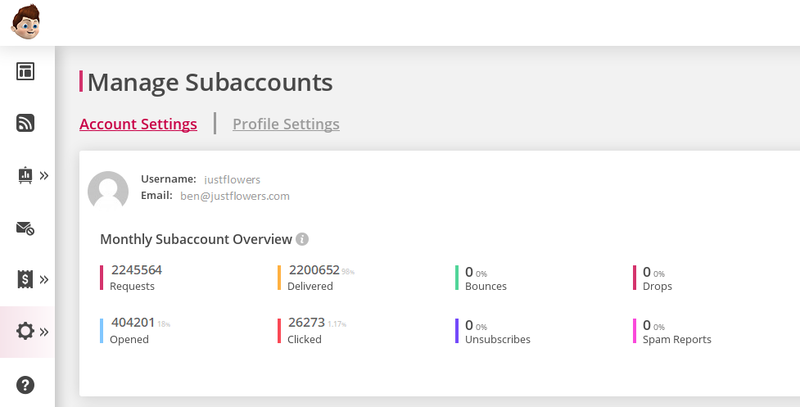 Each Subaccount user can get individual reports about their email marketing performance. You can enable or disable Subaccounts anytime. Your Master account can wisely allocate email credits to its Subaccounts. This means can choose between One-time Credit allocation or Unlimited Credit allocation. Now that you’ve seen our Features, go check out pricing. All our pricing plans include our services and support. We’re here for you!